On Thursday, 29th August Bishop Paul Colton, who chairs the Boards of Midleton College, was present at assembly at the College to mark the start of school year. Midleton College was founded in 1696 but this is the 297th year of continuous education at the College. The Bishop presented the new prefects with their badges of office and afterwards spoke with the four senior prefects. 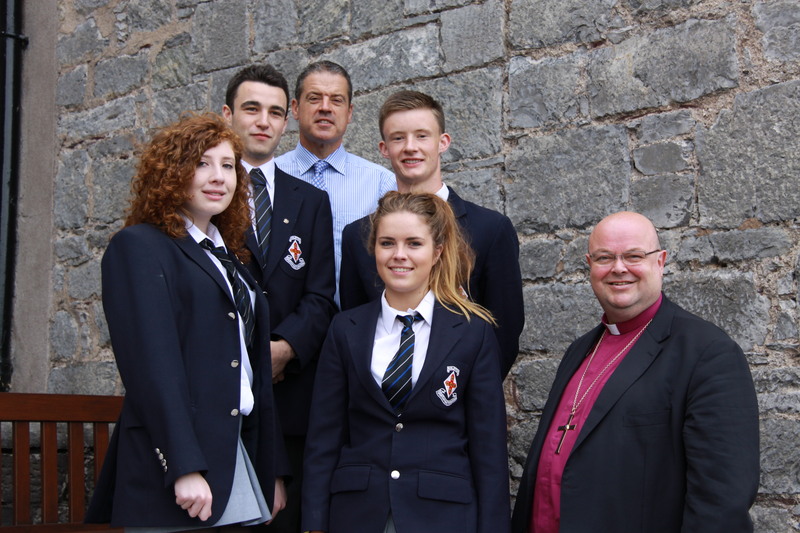 At Midleton College today, the Bishop (right) Dr Paul Colton, chats with the new senior prefects: l-r Olwyn Anthony (Senior Day Girl), David Wood (Senior Boarding Boy), Mr Simon Thompson (School Principal), Andrew McGregor (Senior Day Boy) and Jane Walsh (Senior Boarding Girl). Afterwards, the Principal brought the Bishop on a tour of the campus to see the significant improvement works undertaken in recents months including the new administration block, campus development to provide complete accessibility, and the extended staff room, testimony to the growth in numbers of both teachers and students at the College. 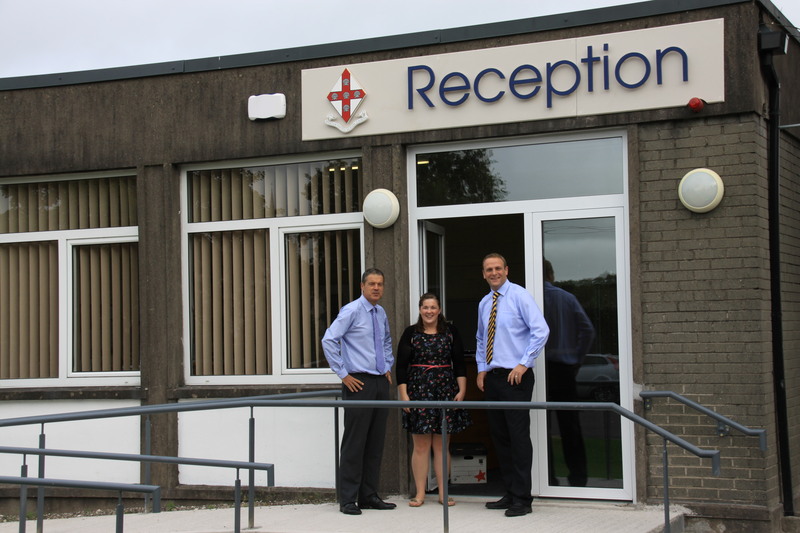 Midleton College Principal, Mr Simon Thompson, speaks with two staff members outside the reception and administration block, Ms Niamh Lawlor and Mr Kevin Stanley.